the most good--American schools. 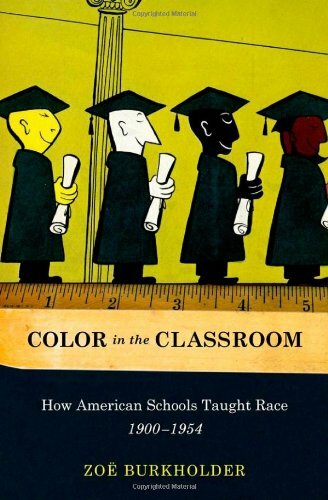 Anthropologists created lesson plans, lectures, courses, and pamphlets designed to revise what they called "the 'race' concept" in American education. They believed that if teachers presented race in scientific and egalitarian terms, that American citizens would become less racist. Although nearly forgotten today, this educational reform movement represents an important component of early civil rights activism that emerged alongside the domestic and global tensions of World War II. Drawing on hundreds of first-hand accounts written by teachers nationwide, Zoe Burkholder traces the influence of this anthropological activism on the way that teachers understood, spoke, and taught about race on an everyday basis for more than fifty years. She explains how and why teachers readily translated certain aspects of anthropological theory, such as the division of race into three main categories, while they struggled to make sense of more complex models of cultural diversity and structural inequality. As they translated anthropological theories about race into practice, teachers crafted an educational discourse on race that differed significantly from the definition of race produced by scientists at mid-century. This compelling book will be of special interest to historians of race, civil rights, and education, as well as to anthropologists and educators interested in the role of schools as racializing institutions in America.